When it comes to a virtual reality experiences, it’s suffice to say that I’ve played my fair share of shooting galleries. I had begun to think that they were a dime a dozen. 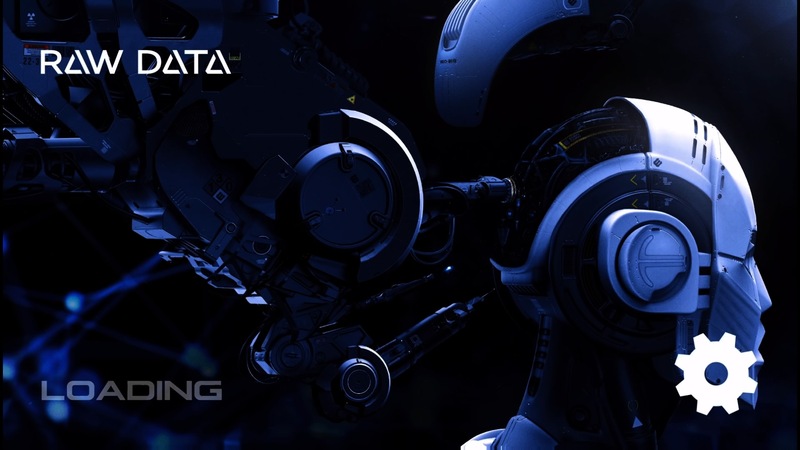 Then I played Raw Data, the newest first-person VR combat title from developer Survios. Somehow, the game completely took my previous assertion about the mundaneness of the genre and threw them out the window. Even more impressive, the game’s ambitious scope still managed to work within the limited technical confines of the PSVR. If experiences like this are the future of the platform, we may be looking at a serious step in the right direction. As the curtain raises on Raw Data all the player really needs to know is that they are currently inhabiting a dystopian wasteland and that things are not what they seem. Tasked with infiltrating a corporation that specializes in advanced technology and enhanced weaponry, the main plot revolves around uncovering what this seemingly nefarious organization is up to. And what would a first-person shooter be without the omnipresent voice in your head, handing down objectives in a linear nature? The game not only indulges the cliché, it doubles down and actually inserts multiple voices into the insanity. The action progresses from stage to stage, with a couple of new wrinkles being introduced with each new outing. Almost all combat plays out while another mechanical object of some sort (it’s never fully explained what the hell it actually is) forcibly hacks and extracts data from their networks. And just like in far too many other FPS experiences (I’m looking at YOU, Destiny) it’s left up to the player to defend the device from incoming attackers. 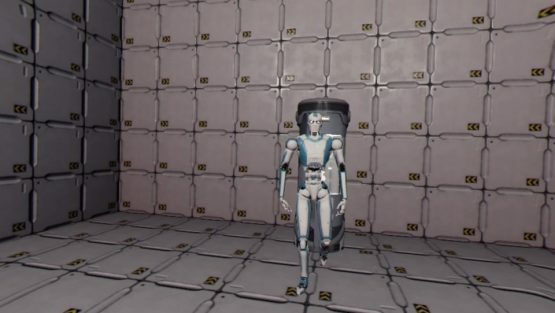 Enemies take the form of several different models of androids, which supposedly went rogue and are acting on code that shouldn’t have been included in their programming. Odds are, some treachery is afoot, and it’s only a matter of time before the truth comes to light. Sometimes the enemy’s target will be the player, while other times the focus of attention is the extracting object or its visual approximation. Fun Fact: Did you know that in the future physical robots have the ability to strike and cause harm to holograms that are projected in the air? Yeah, it made about as much sense as using the term “irregardless” in conversation, but apparently Tupac and Princess Leia better watch their digitally projected backs. Combat is essentially nothing overly groundbreaking, just more of a refinement on an already successful formula. Players can teleport themselves around each map, in order to get the best position to unleash hell on the attacking forces. The main methods of annihilation are utilizing the four weapons that are waiting for the chance to spill some serious oil. A pistol and shotgun make up the firearms portion of the arsenal, complete with both primary and alternate fire capabilities. Further dipping into the tried and true VR battle chest, the bow and arrow also makes an appearance. And last, and most certainly not least, is the dual sword configuration. Using each weapon is where the true appeal of Raw Data shows through. Every weapon feels finely tuned to replicate motion as naturally as possible. For the bow and arrow, combat is obviously done utilizing one hand to hold the bow, while the other draws back the projectile. When the PSVR is behaving correctly, it offers a damn near one-to-one recreation of archery, with each physical movement being mirrored on screen. The firearms factor in both hands by requiring off-hand reloading. Just shy of physically pushing ammunition into a chamber, reloading feels as authentic as can be expected. When it comes to swords, there are few experiences that can hold a candle to this recreation. Movement is smooth and responsive, and made me feel like a genuine badass. Now the fluidity of the combat does come with one big disclaimer: your PSVR must be behaving properly in order for the experience to fully work. In many cases, the hardware proves to be the biggest handcuff to the game’s success. Essentially the range of motion for the system works perfectly fine when standing directly in front of the camera. However, it won’t take long before the action gets a bit more heated, and the player’s physical positioning goes to hell. Sure, there are buttons to rotate in either direction, but why would you do that when you could simply turn 180 degrees and fire off a shot instead? In concept, this should work perfectly fine. Unfortunately it doesn’t take long for the concept of orientation to go out the window and the endless prompts of “outside the playing area” begin. Even actions that should be simple such as grabbing the hacking device and inserting it into a data port can prove problematic. If you are positioned the PSVR’s recommended distance from the camera, you actually don’t have enough room to walk up and fetch the device from the table. As a result, you end up getting too close to the camera. Instead, the solution is to teleport to directly in front of the console, which is maybe three feet from the initial spawning location, and THEN pick up and insert the device. Little quirks like this completely break the immersion and ultimately undermine the integrity of the entire experience. One last and fairly major nitpick is the game’s visual fidelity. On PC, the game had far more VR pixels to push around on screen. The PSVR version is noticeably less impressive. The grainy presentation that’s common under the hood of every PSVR is front and center here. The visual dissonance is further amplified by the ambitious production values that the designers were trying to achieve. It feels like it SHOULD look better than it actually does. Whatever the second proper generation of VR is on PlayStation will be able to make Raw Data sing. It would probably even qualify as a bona fide showcase of the hardware. Sadly, the first iteration of the hardware doesn’t make things look as good enough to be that same caliber of standout. When you take a step back and look at what Raw Data is attempting to accomplish on the PSVR, it’s remarkable what they were able to pull off. Better yet, it’s one of the few VR experiences that I’ve played that feel like they’ve graduated from extended tech demo to a fully formed gaming experience. Unfortunately, while the ambition is certainly there, it feels like the hardware is once again preventing a standout title from achieving its potential greatness. Raw Data is an experience that is most definitely worth exploring, just don’t expect your eyes to be overwhelmed with what they see. Suit up soldier. It’s about time you cause an oil clean-up in aisle everywhere. Raw Data review code provided by the publisher. Reviewed on PS4, using a PSVR. For more information on scoring, please read our Review Policy here.